Tired of writing down the schedule in notebooks and forgetting about your homework? Timetable – a mobile application that will help you organise your schedule, homework and improve your academic performance! 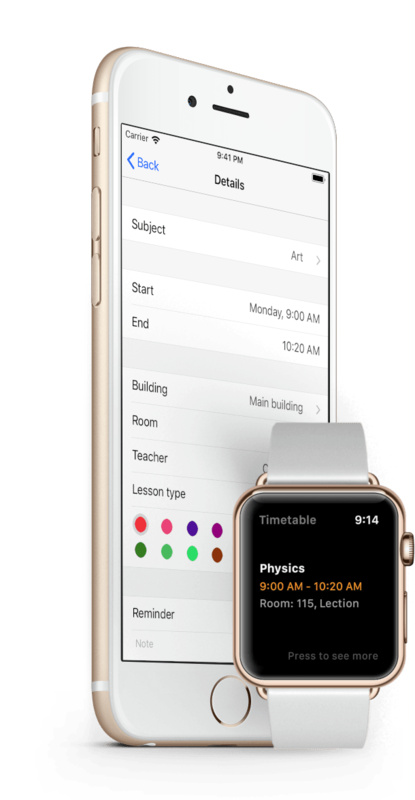 This application is created specifically for students who have a timetable with recurring or alternating weeks. 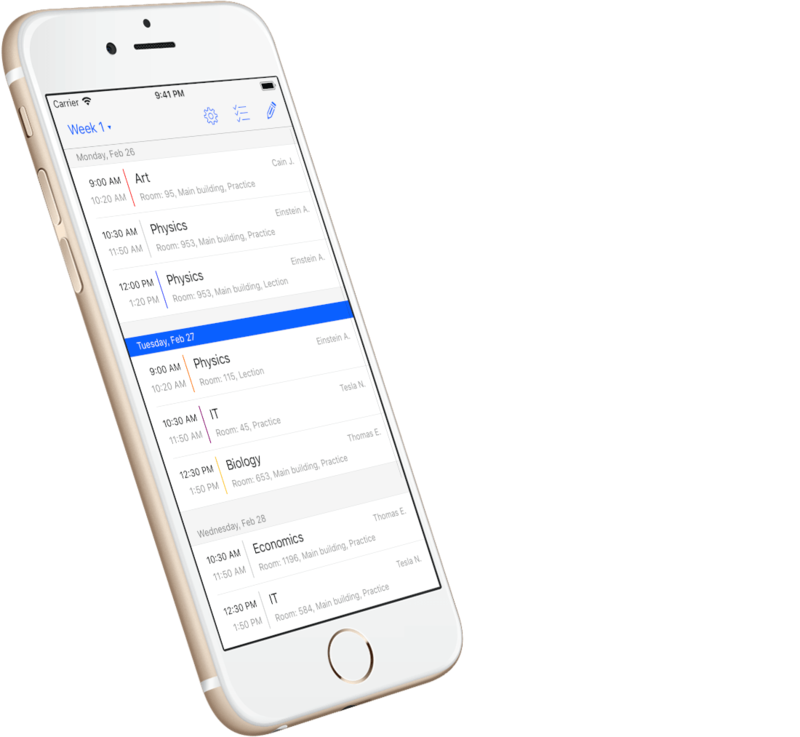 Keep track of all your classes, locations, teachers and important notes in one app. You will never miss your class or forget about your homework with the reminders. Easily manage all of your assignments right in the app. Never miss a homework deadline again! Timetable supports Apple Watch and Today Widget. Checking your next lessons was never easier! Get your mobile schedule planner right now and make your academic life easier! 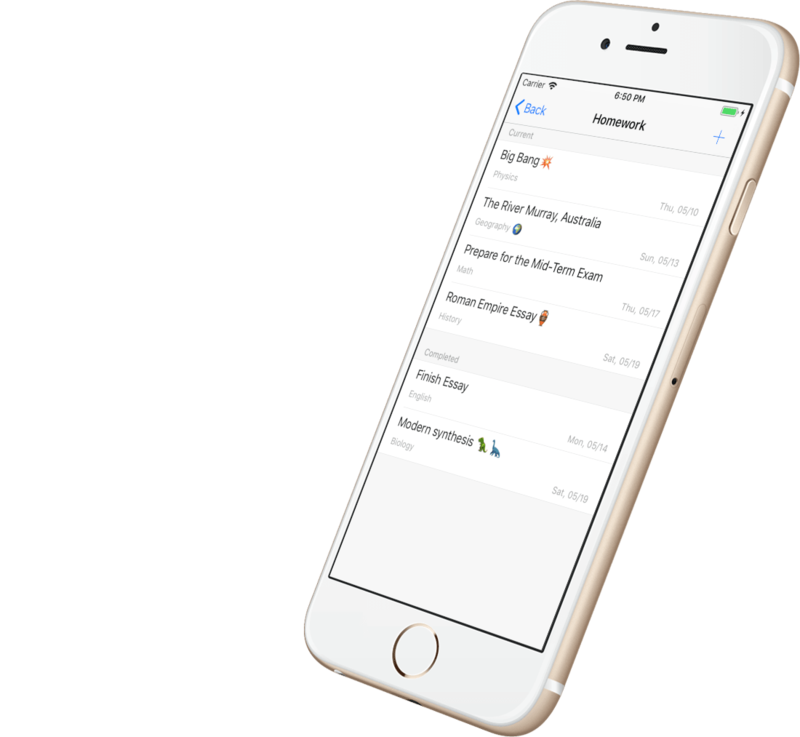 All of the classes, teachers, assignments and important notes are in one convenient app. If something is still unclear or you have any questions, please feel free to contact us.